Thought to be one of the UK's oldest popular music festivals still in existence, Isle of Wight Festival remains a firm national favourite. 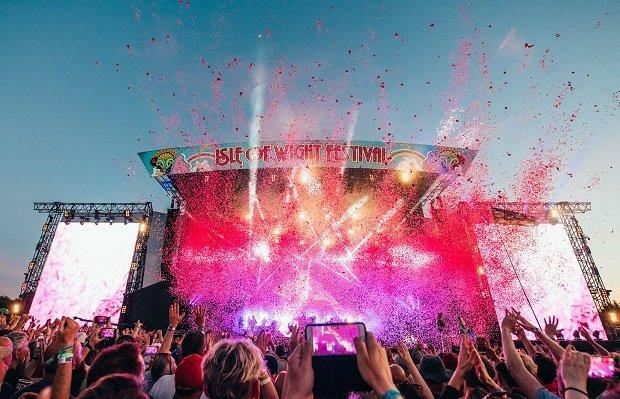 Still one of the most popular festivals in Europe, Isle of Wight Festival brings around 90,000 fans of indie, pop and house to the island every year. That's right, the Isle of Wight isn't just for school trips! Being an oldie but goldie, Isle of Wight Festival has outlived hundreds of fads and phases, still thriving after decades of musical and cultural change. Isle of Wight Festival has managed to remain relevant and increasingly popular by truly listening to what its audience wants, and 2019 is no exception to that rule. Taking place this year from 13th-16th June at Newport's Seaclose Park, 2019's festival will welcome global, industry-leading artists from the worlds of pop, rock, folk and more. Festival organisers are yet to release Isle of Wight's full line-up, but if the acts announced already are anything to go by, 2019 is sure to be the festival's biggest year yet. Very special guest, Fatboy Slim, will be making his Isle of Wight festival debut this year. His explosive festival sets are renowned for keeping people raving and repeating until the early hours, so this is an act that's not to be missed. Closing the festival on Sunday will be Scottish rock band, Biffy Clyro, whose epic performances have made them solid festival favourites. After just a few years in the music industry, it's safe to say that Jess Glynne has truly made a name for herself, which is why she'll be performing on the Main Stage at this year's Isle of Wight Festival. There's no place we'd rather be (get it?) As if that weren't enough, festival-goers can also look forward to performances from the likes of Anne-Marie, Sigrid, Jax Jones, Sigala and music royalty, the one and only Rick Astley (insert "Never gonna give you up" pun here). We know what you're thinking, Isle of Wight Festival 2019 sounds phenomenal and - you're right - it does. Unsurprisingly, tickets are selling fast, so head tohttps://isleofwightfestival.co m/info/tickets to grab yours before it's too late.